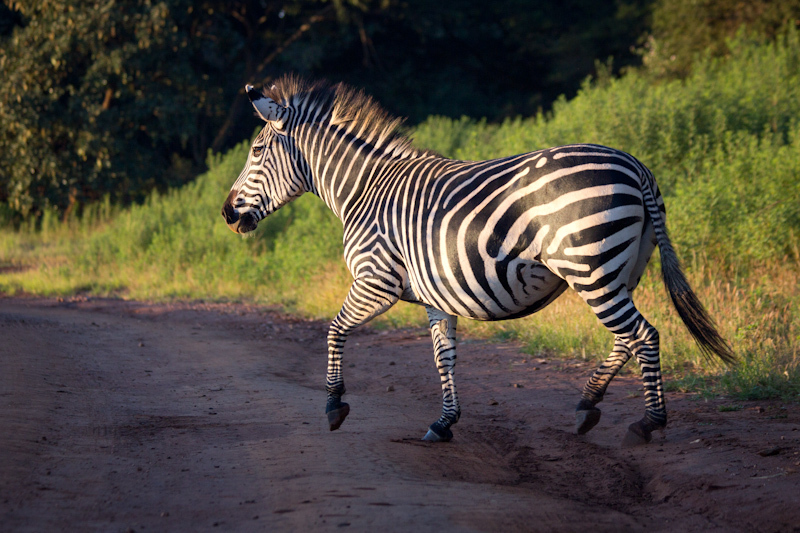 One campsite in Zambia was next to a wildlife park. In the evening Juliane and I set out to find some animals, and we spotted some gazelles and giraffe and zebras. The next morning I got up before sunrise to hunt animals by myself. 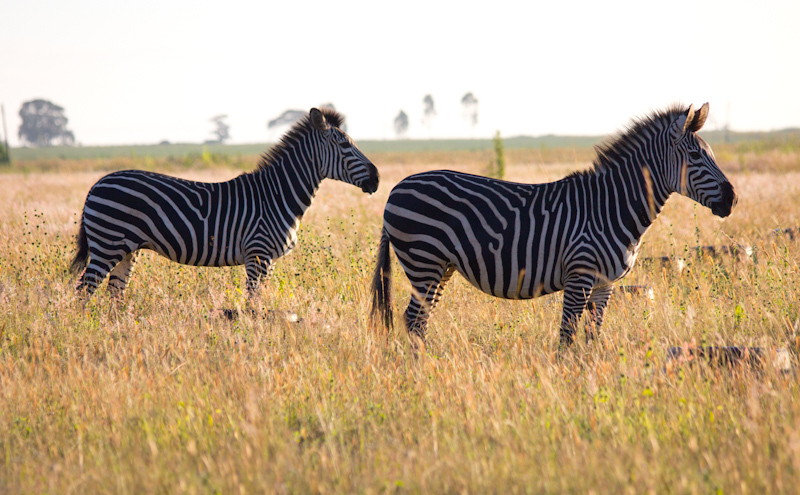 I tracked four zebras to a large field, and took photos as they walked around in the morning sunlight. If you look at most published wildlife photos, you’ll see they are taken either as the sun rises or sets. The low, warm light makes for the most beautiful and defined images. The entire field was strewn with tires for reasons I can’t even guess, but I tried to minimize them in the photos. I also found it tricky to exclude fences and buildings from the frame, but it’s worth it to make the photos look more “wild”. 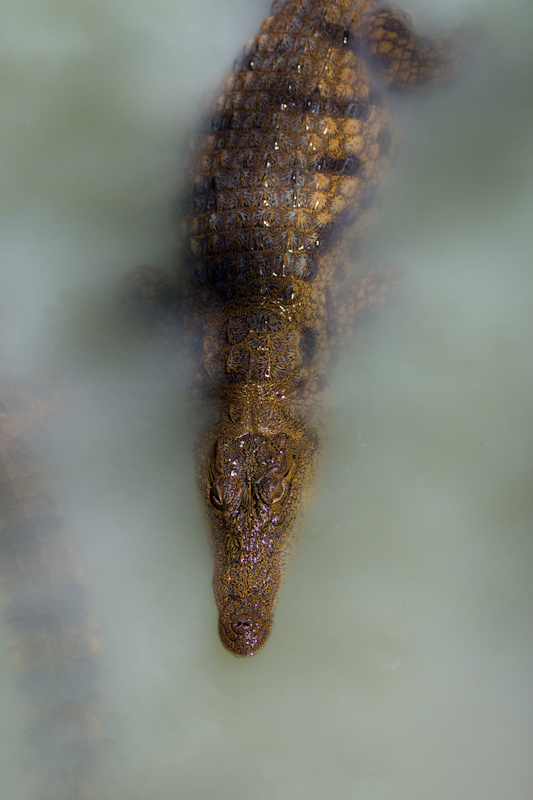 We spotted quite a number of crocodiles in the wild, but it’s hard to take interesting photos of eyes and noses poking out of the water at a long distance. 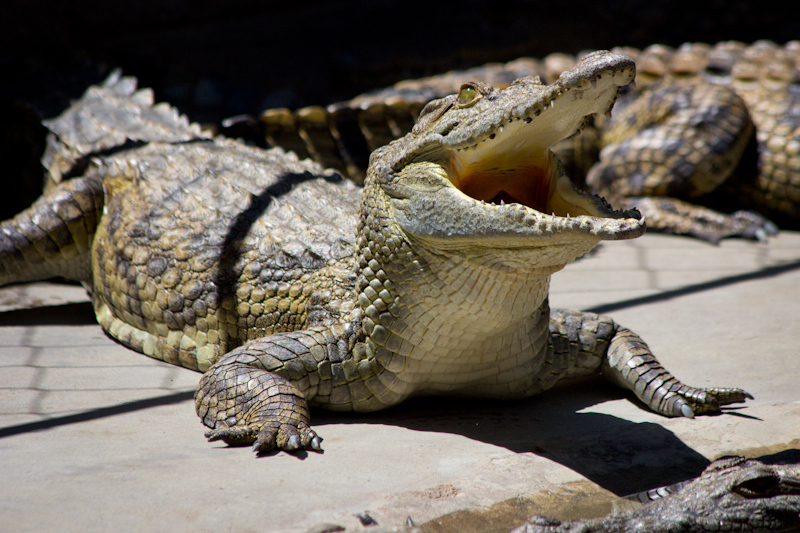 Then I found out about a crocodile farm and animal sanctuary near Victoria Falls, and I thought it would be a good chance to get up close and personal. The farm has two sections; a public zoo-style area and a commercial breeding area. The zoo area had raised walkways so you can look down at the crocs in their pens. 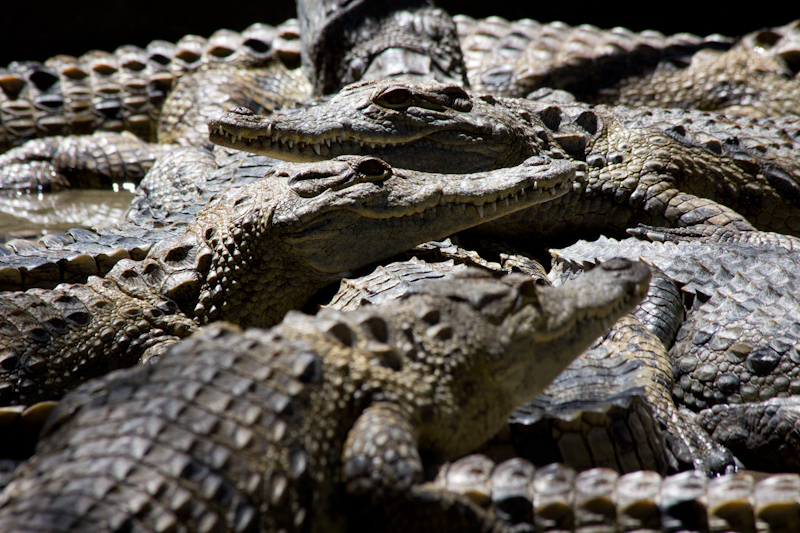 Each pen held about 150 crocodiles. They had about 40,000 crocodiles in total. That’s enough for a lot of food, and a lot of handbags! 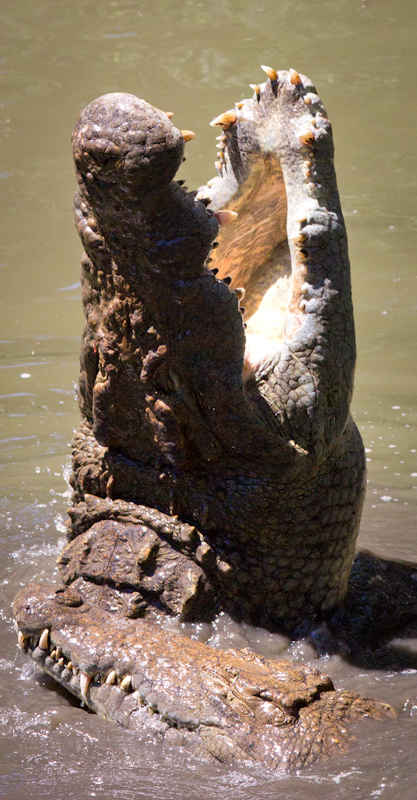 During the tour, our guide dangled chunks of meat above the crocodile breeding pen, and the male crocodile was happy to pose for the camera. The red water isn’t blood. 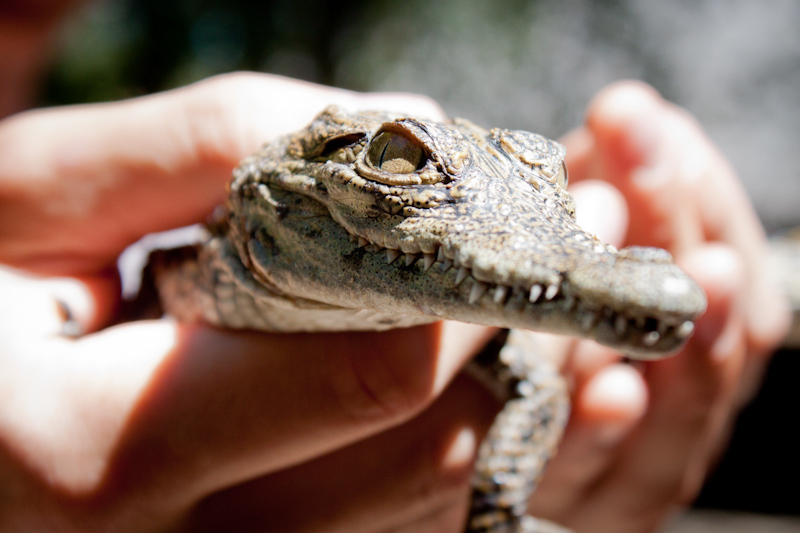 It’s a chemical added to the water for crocodile skin health reasons. Once there was a volcano the size of Kilimanjaro, but it collapsed in on itself. 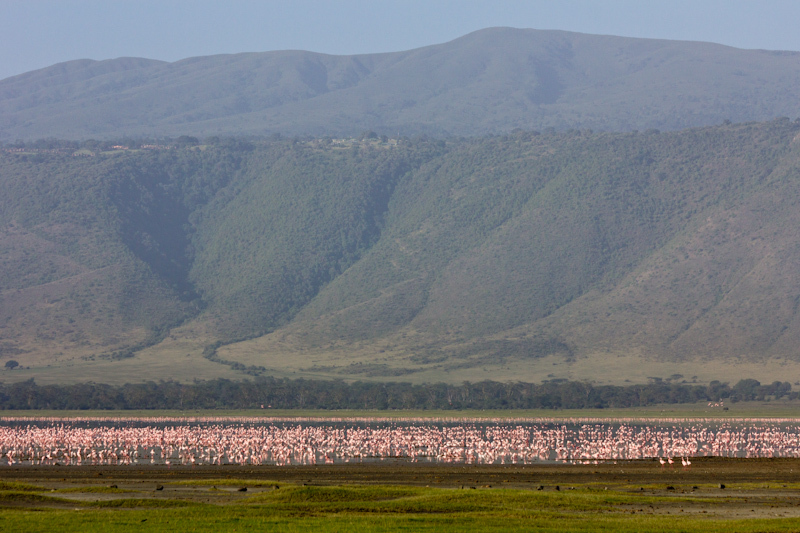 Now it’s known as the Ngorongoro Crater. It is a self contained biosphere. Water comes from springs around the sides and flows into a saltwater lake in the center. 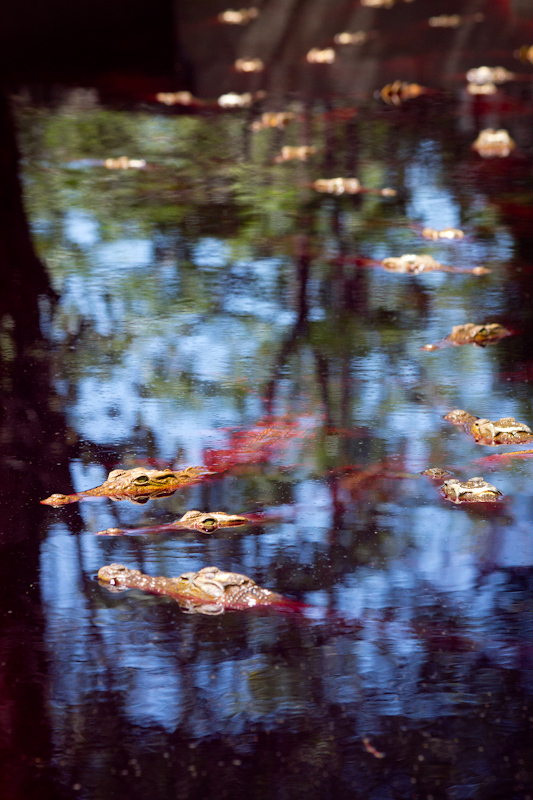 Due to the constant supply of water, animals stay there all year round. Birds use it as a migration stopover point. 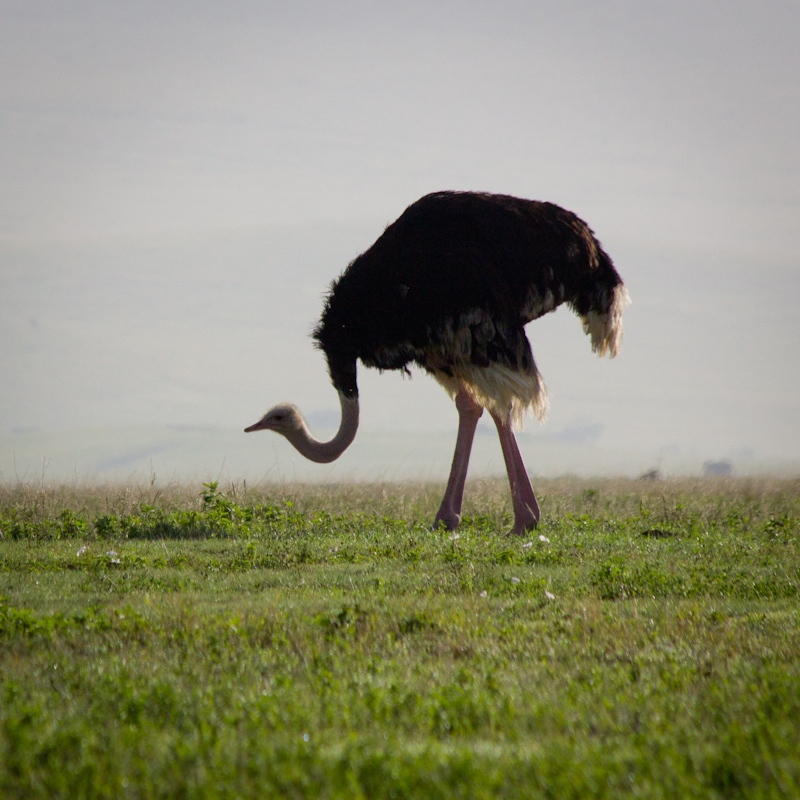 I spotted a number of ostriches in the Serengeti, but the capital of ostriches is the Ngorongoro crater. 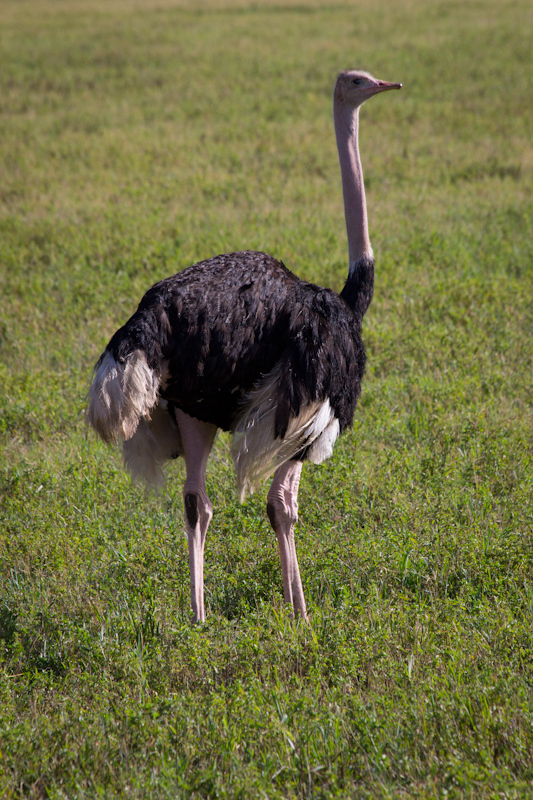 I took loads of photos of loads of ostriches, but they all look the same. 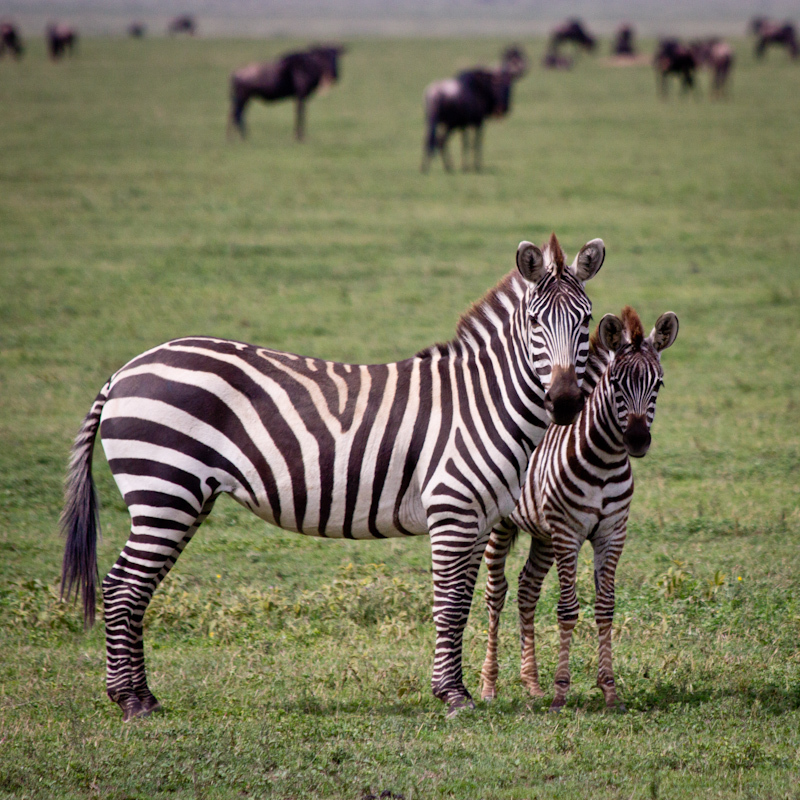 In the Serengeti, and at other national parks, we saw loads of young zebras. I guess it’s that time of year. 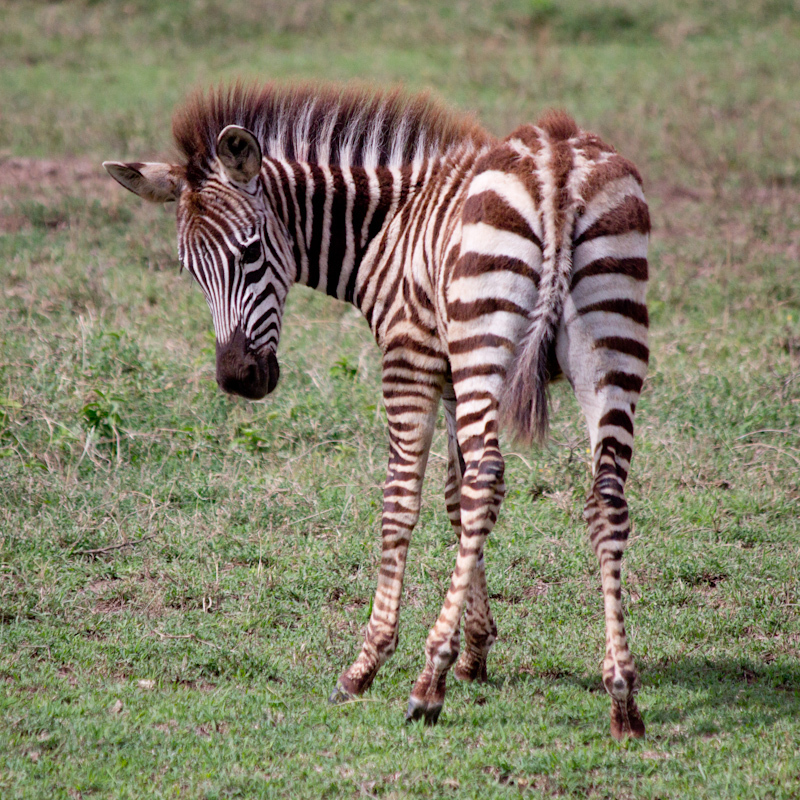 Is a young zebra called a colt? No idea. I just know they are super cute. 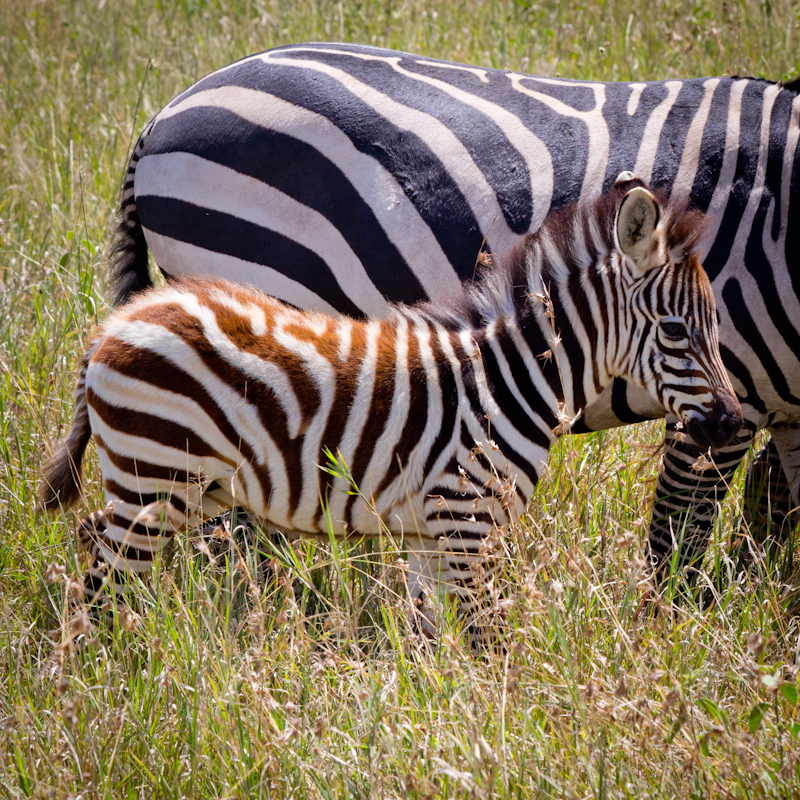 Zebra stripes are brown and white when young, and black and white when mature.